Star Laser, Inc – Creative Gifts Personalized Just for You! Celebrate one of life's greatest moments. 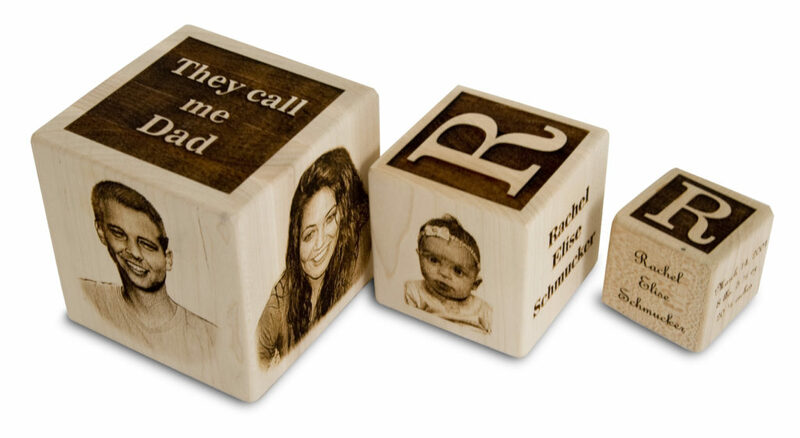 These unforgettably beautiful and fully personalized keepsakes are sure to melt hearts and capture for a lifetime one of the most precious moments life has to offer. Get started on your’s now! At Star Laser, we are ready and waiting to put our six powerful lasers to work for your business, producing professional personalized gifts and items. We offer fast turn around times and caring customer service. Incredibly Creative Gifts. Beautiful Memories. Star Laser create some of the most unique and beautiful gifts you've ever seen. From our Golfer's Cane, Ohio County Clocks, and fully custom items, these gifts are sure to spark conversation! These uniquely beautiful keepsakes have been melting hearts and capturing for a lifetime one of the most precious moments life has to offer. 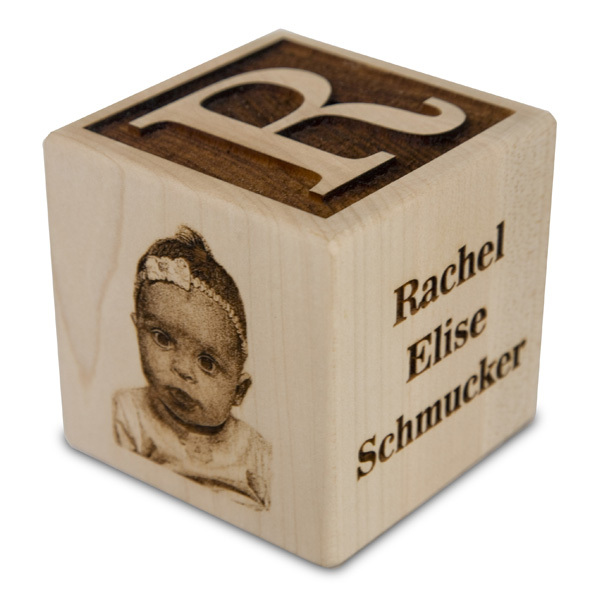 These solid hardwood baby blocks are fully personalized with the child's name, birthday, weight, length, the parent's names, a photo, and more! Are you looking for a unique way to commemorate your sports team for a lifetime? 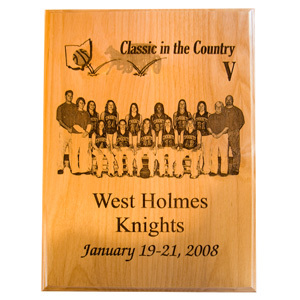 It's hard to find a product that does it better than a personalized team plaque from Star Laser. The quality of the product is outstanding, the detail of the engraving is incredible, and the end result is beautiful! Our customers come to us for some of the most unique and hard-to-find gifts available anywhere. This Golfer's Cane is at the top of the list! 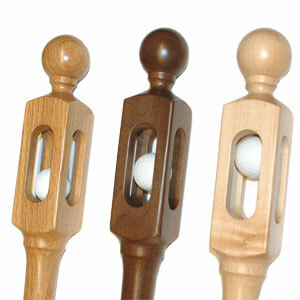 With a real golf ball 'magically' found inside the top of a cane made from a single piece of wood, this is a conversation piece that you'll enjoy for years to come. All of our products feature quality craftsmanship, unique creativity, and create a lasting impression. Each of our products are crafted from quality materials, such as solid maple, and are designed to last for years. When you're looking for a wonderfully unique gift, Star Laser delivers. Our custom laser engraved products are carefully crafted with beauty in mind. We love helping our customers bring their custom laser engraved dreams to life. Take advantage of our Spring Sale going on now! Save up to 5% on your order when you use the code below. Are you looking to buy in bulk? 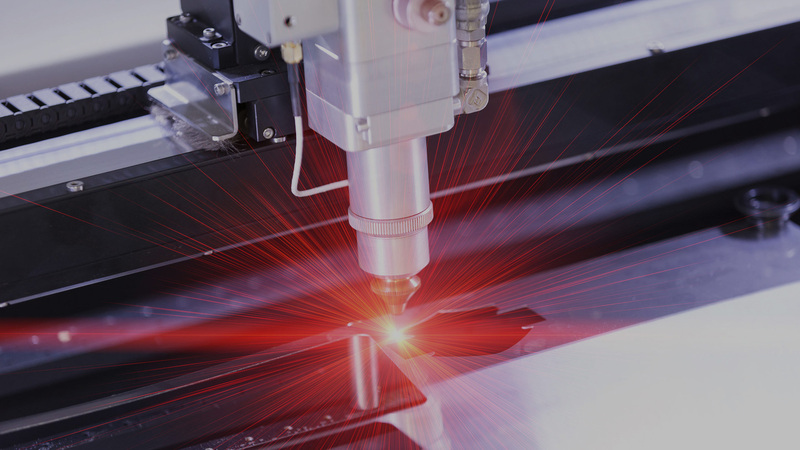 At Star Laser, we have six powerful lasers ready to produce the branded products you need, regardless of the order size. Many companies have trusted Star Laser with the large orders they've needed to fill, and we're ready to help you as well!